I have been caving for many, many years. I became fascinated with the story of a few French kids discovering the caves of Lascaux and their prehistoric drawings when their dog suddenly disappeared down what they believed was a rabbit hole. Since hearing of that story, I have been unable to resist the smallest hole in the ground, hoping against hope that maybe this time I will make my own great discovery. 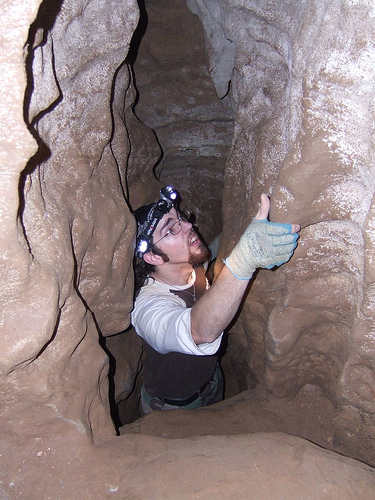 Through this fascination, however, I also became aware that I truly love caving. A family plus size pack of batteries. You can never have enough batteries when caving! Good shoes – there is no need to get proper caving shoes. It is important that your shoes have a very good grip and are of good quality and mainly that you feel comfortable in them for long periods of time. Again, Amazon is a great source for shoes that will be great for caving. Survival packs (energy bars, chocolate and a first aid kit and, of course, a water bottle). Throughout out my years of caving, I have been in some amazing locations. I would love to spend some time sharing some of these caving locations with you. This is a brilliant location for any beginner caver; in fact it is probably the best caving location for those who do not have much experience yet. It was originally used as a gold mine and is hence well travelled. There are motion sensitive lights all over the cave, so those who worry about being claustrophobic should have no issues here. Also, people are allowed to go off and explore at their own leisure, meaning you can really feel like you are on your own exploring the depths of the earth. Additionally, Abercombie Caves have the largest natural bridge made from limestone in the southern hemisphere. The name says it all, really: cave of the crystals. 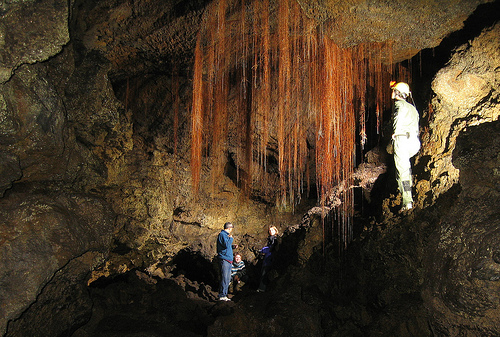 The Cuevo de los Cristales will give you the most extreme caving experiences ever and is truly in direct contrast with the Abercombie Caves. There are incredibly large natural crystal formations that dwarf any person that stands next to them. And I’m 6 foot tall! The caves are incredibly hot, because underneath the floor is a large magma chamber. When caving in the Cuevo de los Cristales, you will certainly need specialist equipment to protect you from the heat. You could invest in some, but luckily it also possible to hire it from the Cuevo de los Cristales itself. Capricorn Caves are great for those who have tried easier caving, such as Abercombie Caves and are ready to push themselves that little bit further without risking exhaustion. Exhaustion is a real risk for cavers and many people have found themselves stuck for several hours whilst waiting for a member for their party to recover their energy (this is why I always carry energy bars with me!). Capricorn Caves is a very large system of privately owned caves and is absolutely fascinating. There are loads of little passageways that have been formed by passing water. What makes this cave ideal for intermediate cavers is that you can explore a kilometer in just one hour. This cave is not suitable for the inexperienced or the faint of heart, but it has personally giving me the best caving experience ever. Caving and rappelling are brought together in this cave space that is one of the largest in the world. You first need to descend 120 meters via rope, so be sure to be in good physical condition and to not have any issues with heights. Also, expect to come out of this cave with quite a number of cuts, bumps and bruises! There is a true underground world waiting to be discovered at Majalis al Jinn and you could get lost trying to explore all the different formations. This is most certainly one of my favorites. Reed Flute Cave is by far the best caving location in the world. I could personally spend several weeks living in these caves, exploring all the different ponds, natural bridges, stone formations and majestic pavilions. One of the great things about Reed Flute Cave is that it is suitable for both experienced cavers and those who are only just starting out. Certain areas can only be accessed by the more experienced cavers, of course, but the beauty of the main areas are such that anybody will be able to enjoy Reed Flute Cave. I am still looking for that elusive rabbit hole that turns out to contain the greatest prehistoric discovery of all time. 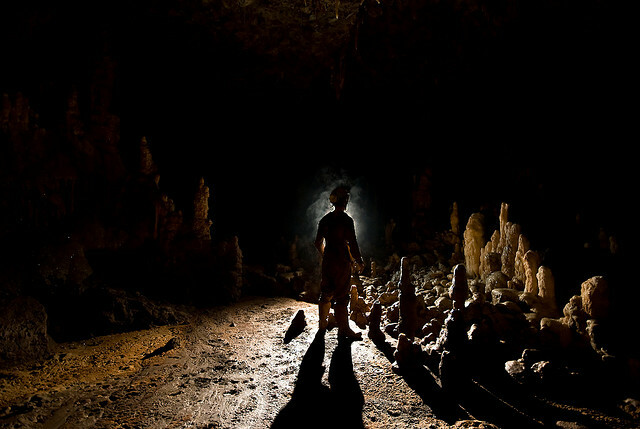 However, in my search, I have learned something really important about myself: that I adore caving. I have been around the world exploring the different caves that are on offer (and there are many! ), being mesmerized time and again with the beautiful world that exists underneath the world we know. Yes, I am still looking for evidence of how prehistoric people lived, but I certainly understand why prehistoric people lived the way they did. There is nothing more beautiful than being surrounded by some of nature’s most awesome feats. This entry was posted in Caving, Land Sports, Travel and tagged Caving, China, Mexico, New South Wales, Oman, Queensland. Bookmark the permalink.